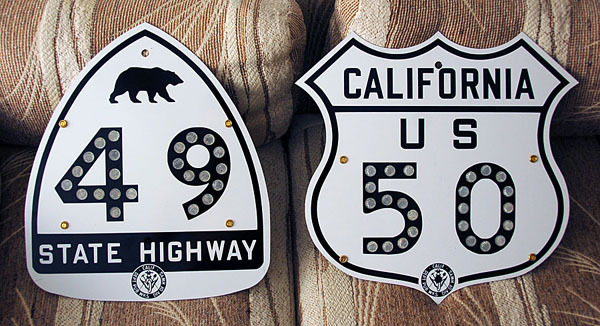 Here you can browse through all the different varieties of highway signs we are capable of manufacturing. We make our signs completely accurate to the highway standards of the present and past. Be sure to check out our shield generator application to get a great idea of how a sign style would look with your favorite state, highway number, color scheme, and other details! Please use the contact form here, or email us at shields@aaroads.com for all inquiries.